Golf and tech is quickly becoming almost synonymous, with a bevy of products ranging from swing analyzers to GPS watches. 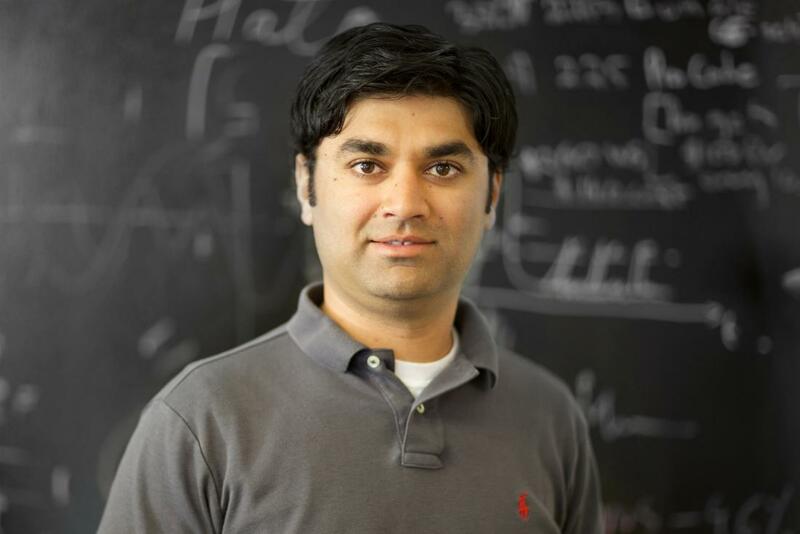 The latest craze is instant game tracking technology and it excites me that this weeks 5-ish questions is a chance to pick the mind of Arccos CEO, Sal Syed. What is Arccos, and what kind of useful information can the average golfer glean from using Arccos? How will it help their game improve? Arccos is the industry’s most advanced performance tracking system. 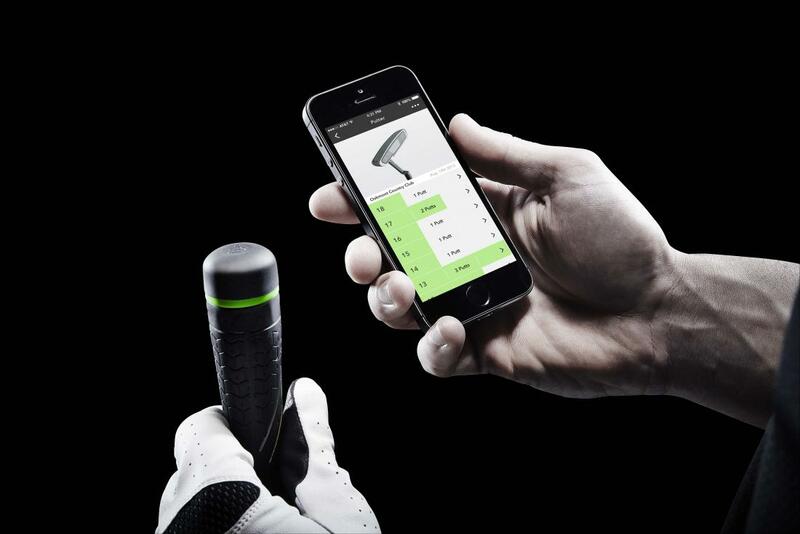 It incorporates 14 sensors that easily attach to a player’s club and pair with our free iPhone app. 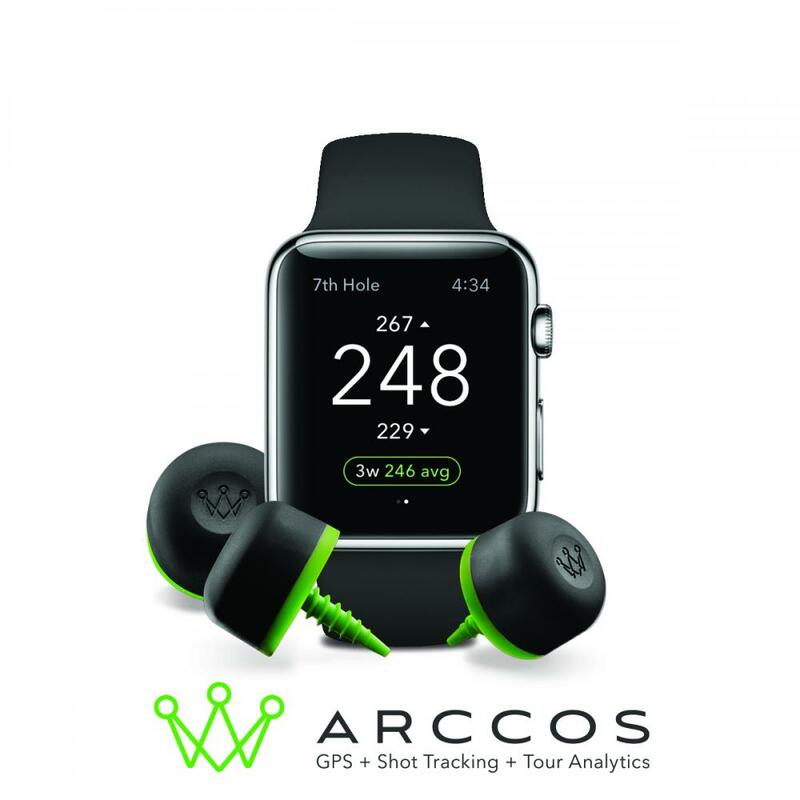 Once connected, golfers simply play as they normally would and Arccos automatically starts collecting data on distances hit, club averages, driving accuracy, greens in regulation, sand saves, putts and much more. The app also provides GPS yardages for more than 20,000 courses. For the average golfer, this is the first time they will be able to see their game under a microscope and truly evaluate strengths and weaknesses based on incredibly accurate data. They can use the information provided by Arccos to practice the areas of their games that need improvement, leading to lower scores and more fun on the course. It seems everything and everyone can benefit from technology these days, can the average golfer truly understand and extract enough valuable information to improve their game? We’re experiencing a time in world history when technology is truly benefiting everyone. Technological innovation in a variety of industries has made everything more efficient. 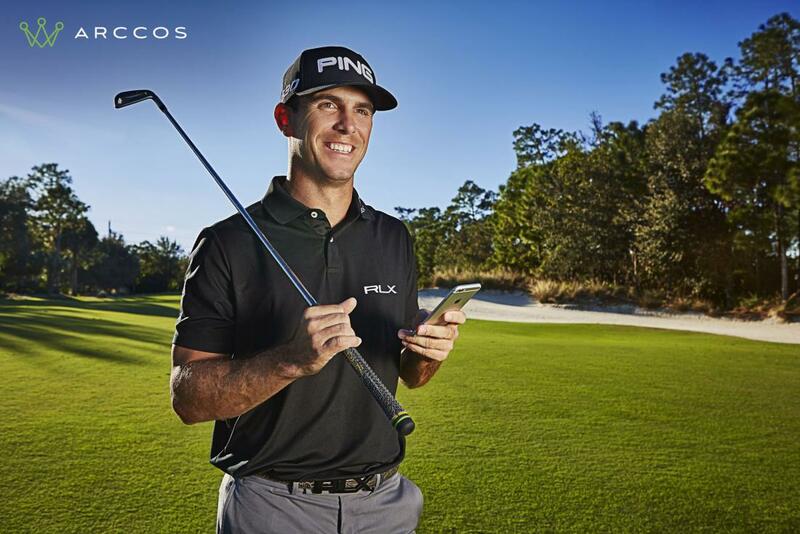 Our goal with Arccos is to make golfers more efficient. Currently, the average golfer doesn’t really know how far they hit the ball. They think they do, but our research shows they are often way off. Conversely, PGA Tour players have the tools at their disposal to know exact yardages for each club and type of shot. Without question, knowing this information has a dramatically positive impact on a player’s performance. Additionally, we use the Strokes Gained methodology to unlock a player’s “Golf DNA.” We have been taught to measure our skill based on a handicap number, we’re a 5, 10, etc. But that doesn’t give the full picture. With Arccos we breakdown each player’s handicap into five key components – driving, approach, chipping, sand game and putting – assigning a handicap number to each. This breakdown is very important, because once a golfer understands where their weaknesses lie, they can practice that area and quantify results based on if they see an upswing in performance and lower total scores. Additionally, by helping players understand strengths and weakness, they are far more likely to be motivated to practice and work on the area of their game that needs development. How do two guys from business management and financial backgrounds (Sal and Ammad) get into the golf technology business? Although I did graduate from Yale with an MBA, my background is working with tech start-ups. With Arccos I saw the opportunity to perfectly combine my two passions for golf and tech. Ammad and I grew up together and have been very good friends for a long time. We went to the same high school and have always been close, so it was a natural fit. I actually introduced Ammad to golf and now he is completely hooked! He is actually doing very well and currently plays to about a 12 handicap. Pretty impressive, considering he only recently took up the sport. We see many similar products on the market these days such as GameGolf which is almost half your price, why should we be buying Arccos? What about non-rechargeable batteries adding costs? Do you have plans for a rechargeable version? Other products may be similar on the surface, but the difference between what Arccos provides compared to the competitors is quite substantial. When we developed Arccos, my philosophy was that people are out playing golf to enjoy themselves, not to collect data. Which is why it was imperative that that our system automatically collect information on the user, without his/her direct interaction. Players don’t need to adjust their pre-shot routine or tap a third device in order to activate Arccos. Just go play golf. Of course if an Arccos user wanted to check their stats as they play, they can do that. Everything is recorded and displayed instantly. They also have the choice of waiting until after the round to dive into shot tracking numbers and analysis. The experience on the course is as interactive as you want it to be. We also offer GPS functionality, providing distances to the front middle and back of the green. This eliminates the need for another device or app that serves that purpose. When it comes to the batteries, using a non-rechargeable battery is actually the cheaper technological solution. Our testing shows that the batteries used can last roughly 50 rounds, which is about two years for the average players. Beyond that, we’re getting more and more efficient when it comes to battery life and should be able to increase battery life over time. Even if they do need to be replaced, the batteries only cost a few dollars to replace and can be picked up at any drug store or electronics outlet. What do you say to the purists who insist technology should stay off the golf course? I would definitely consider myself a purist. I’ve been in love with the game for the past 20 years and have spent countless hours studying course architecture reading about the roots of the game in my spare time. The truth is that technological innovations have always been a big part of golf. Equipment manufacturers are constantly experimenting with new materials or borrowing design cues from the aerospace industry to build clubs, balls and shafts that perform better than the previous generation. Technology has always enhanced golf and we made sure we created a technology that doesn’t get in the way of golf. Arccos adds to the experience, culture and history of the game. The one piece of technology that has been missing from golf until now is the “data revolution.” People want to be able to record their golf life. If you play a round at St. Andrews or Pebble Beach or another world-class establishment you will want to remember exactly how you played each hole. With Arccos we ensure that those memories are with you forever. Our system is only enhancing the experience.